Steel tariffs – what impact? Few of us will be able to pick up a newspaper, check out the news online, or turn on the TV/radio without hearing about a possible trade war in-the-making, but at what cost for the gases industry around the world? The tariffs have been mooted for some time now, with the prospect of such protectionism from the Trump Administration was a central topic throughout much of 2017. Indeed, the issue was touched about in an interview I ran with the US Steel Manufacturers Association (SMA) in March last year. President Trump first formally announced plans for the tariffs in March (2018), but subsequently granted some exemptions while countries negotiated. With the verdict this week that not enough progress had been made to warrant a further reprieve, the new tariffs – 25% on steel and 10% on aluminium – have effectively come into force in the last 24 hours. These apply to the kind of raw materials used extensively across the US manufacturing, construction and oil sectors – essentially plated steel, steel slabs and coil, rolls of aluminium and tubes. So what impact of these tariffs could we see within the gases industry? Perhaps unsurprisingly, news of such tariffs has been previously welcomed by the SMA. 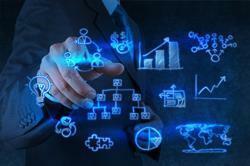 The problems facing the global steel business are well documented. Compromised capacity utilisation, the influx of cheap imports, and a serious erosion of profitability have forced the closure of several high-profile steel plants in the last half-decade. The chief factor still at play is over-capacity, limiting the ability of even the most efficient producers to operate profitable, sustainable businesses – and North America is one of the major regional markets confronted with this trend. 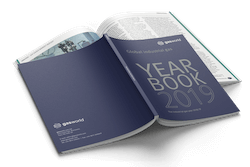 Its steel industry has been the subject of relative demise for several decades now, with the US now the world’s largest importer of the product – embodying the issues facing the market globally. “SMA members continue to confront the challenges associated with unfairly traded steel imports. This has been an issue in virtually every product line and from a wide range of nations. 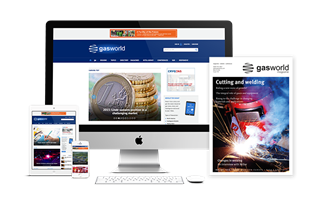 Unfair steel trade continues to have a negative impact on domestic steelmakers, their employees, investors, and surrounding communities,” explained then Vice-President of Policy & Communications, Adam Parr, in an interview with gasworld. When talk of tariffs solidified in March, the SMA issued a statement welcoming the news. Tariffs might also come as welcome news in the local gases business. 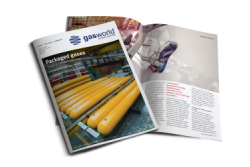 gasworld Business Intelligence reflected on the proposition of such protectionist measures in its analysis of the US gases business last year. The Great Lakes region, home to the third-largest industrial gas market of the eight US regions, has a significant metallurgy market and large volumes of both nitrogen and oxygen are produced on a supply scheme basis, much of which is for the substantial steel industry chiefly located on the shores of Lake Michigan and Lake Erie. Such is its prominence in the region, the growth prospects of the Great Lakes gases business are thought likely to hinge on the future of the metallurgical sector; the imposition of tariffs would ensure that domestic steel is lower-priced than imported steel products and, therefore, benefit the region’s still mills. This, in turn, would benefit the industrial gas companies that supply these mills. 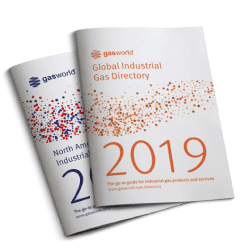 Likewise, gasworld has noted that any efforts to stimulate domestic production by the federal government would be beneficial to the US South East region, given its expansive industrial basins. It is thought likely that we will see an increased and sustained amount of new project activity in the South East over the coming years. Questions have been raised, however, with regards to the sustainability of any tariffs imposed. Imposing tariffs on imported steel may provide a short-term boost locally, but would likely result in increased prices for steel products in the longer term, which would impact the nation’s manufacturing sector – particularly the automotive industry – and thereby (potentially) hamper industrial gas demand in other areas. This is just the local position. On an international level, we can now expect uncertainty – if not hesitancy – to spread to various regions around the world. Europe, Canada and Mexico are reportedly planning retaliatory moves of their own in the face of President Trump’s tariffs, with suggestions of tariffs of their own across various goods, industrial and agricultural in nature. All three have sizeable steel businesses, particularly Europe, and any trade wars on steel product could have consequences for steel mills and in turn gas demand in these regions. This is without even mentioning China, home to a burgeoning steel industry (China produced nearly as much steel as the rest of the world combined in 2017, according to worldsteel) and a blossoming industrial gases business to match. China is often cited as the chief cause behind global steel industry woes, having flooded the market with cheap product in its rise to status as the world’s leading producer. But from a gases point of view, one cannot overlook how much local gas demand this may have generated. As just one example, a gathering of the country’s Gas Separation Plants Association in April delivered the news that in 2017, the whole industry signed contracts for more than 30 sets of ASUs with a capacity of more than 70,000 Nm3/h – in terms of oxygen generation capacity of these new plants, 25% had gone to the metallurgy sector. There will also be concern in Brazil, an already challenged economy and the largest of the commercial industrial gas markets in South America. 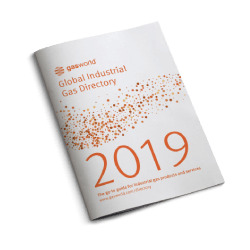 The largest end-use sector of industrial gas in Brazil is the metallurgical industry, which accounted for $503m in sales in 2016 – or just over 33% of revenues. The general manufacturing sector generated a further 14% of commercial revenues, with the healthcare, chemicals and food & beverage all commanding shares of revenue in the region of 11%-13%. Any impact on the country’s steel business as a result of tariffs will clearly have a big consequence on its gases business too. It’s also worth considering the less obvious or direct concerns of trade impositions, some of which gasworld has already seen expressed or hinted at in interviews with industry figures. 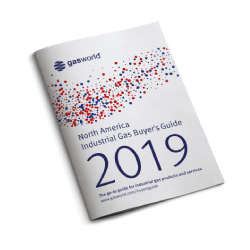 Pricing concerns were echoed in the first quarter 2018 Baird Industrial Gas Survey, undertaken in partnership with gasworld. 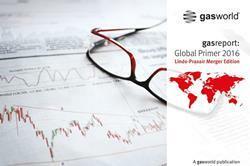 The survey provides a snapshot of current quarter trends in the US gases business and one of the key takeaways to emerge was the fact that ‘Supplier pricing is very uncertain due to the tariffs’. Clearly, the sense of uncertainy is already being felt, and will continue to be felt as US businesses try to navigate around significant changes – including (where applicable) how to adapt their international supply chain networks to deal with higher-priced imports. It is a global village we live in today, after all. 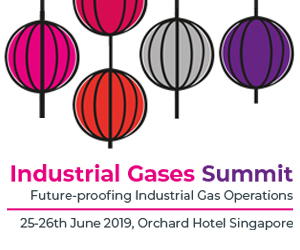 For the next few weeks and months, industrial gas and engineering businesses around the world will be watching closely. Whether they can adjust as necessary – or will need to – is another question. It will be interesting to see what projections The World Steel Association (worldsteel) presents next month in its April 2017 Short Range Outlook (SRO) report. The Country Dashboard for the Great Lakes is available to Business Intelligence Online Subscribers only. Praxair, Inc. has signed a long-term contract to supply industrial gases to a new steel mill being built near the Port of Pecém in an international free trade zone in the state of Ceara, northeast Brazil.